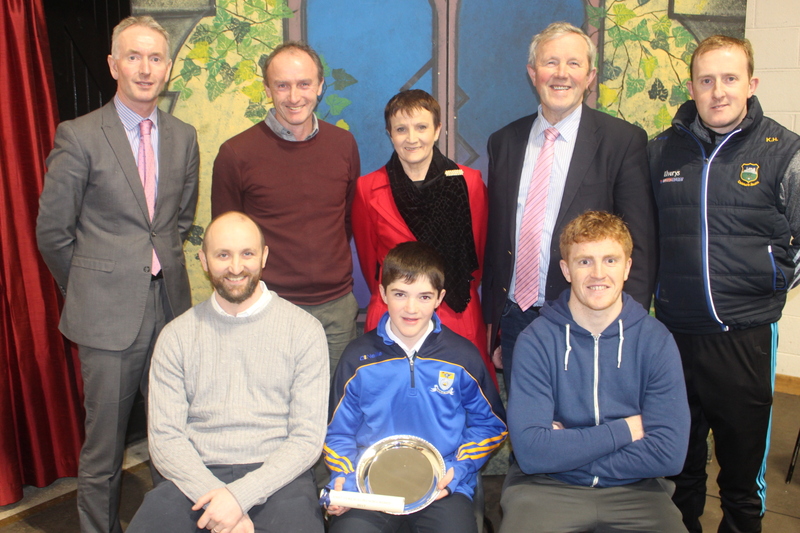 Wednesday December 13th saw the inaugural awarding of a scholarship by the Friends of CCS GAA Support Group to a First Year hurler who was willing to display characteristics such as leadership, being a team player, commitment to training and working hard academically. This scholarship will be an annual event and will reimburse the winner the costs of attending a full academic year in CCS as well as providing support to help this player to develop his skills. All the first year hurlers were invited to apply for the scholarship and 12 applications were received. The application form was an essay outlining the player’s strengths and ambitions and what they see themselves offering our school into the future. Because of the high calibre of all the applicants and the considerable effort that they went to the Support Group decided to reward all of the applicants. After all 12 applicants received a Tipp hat, socks and t-shirt the winner of the scholarship was announced as Ben Currivan from Golden. Ben has great history as a leader in that he captained Golden N.S. twice to winning county finals in 2014 and 2017. He also captained the Cashel C.S. First year hurling team to win the Sciath Ui Cathain earlier this year. Ben received a scholarship package worth over €1500, including free books, gear, locker, food, uniform, transport to matches and free study for a year. All the staff and students in Cashel C.S. wish Ben well in getting this fantastic reward. Back Row (left to right): Mr. John Gallagher (Principal CCS), Mr. T.J. Quinn (Gamesmaster CCS), Ms. Margaret O’Carroll (Club Rep Friends of CCS GAA Support Group), Mr. Roger Kennedy (Chairperson Board of Management), Mr. Kevin Hally (Games Development Officer).